With a nautical eye, a proclivity for pattern making, and a handful of watercolors--Jason is proud to offer this curious collection of patterns. For sale now at Society6 and Spoonflower. Fish Shoal Swirl available as an enormous 8'x12' mural through Society6. 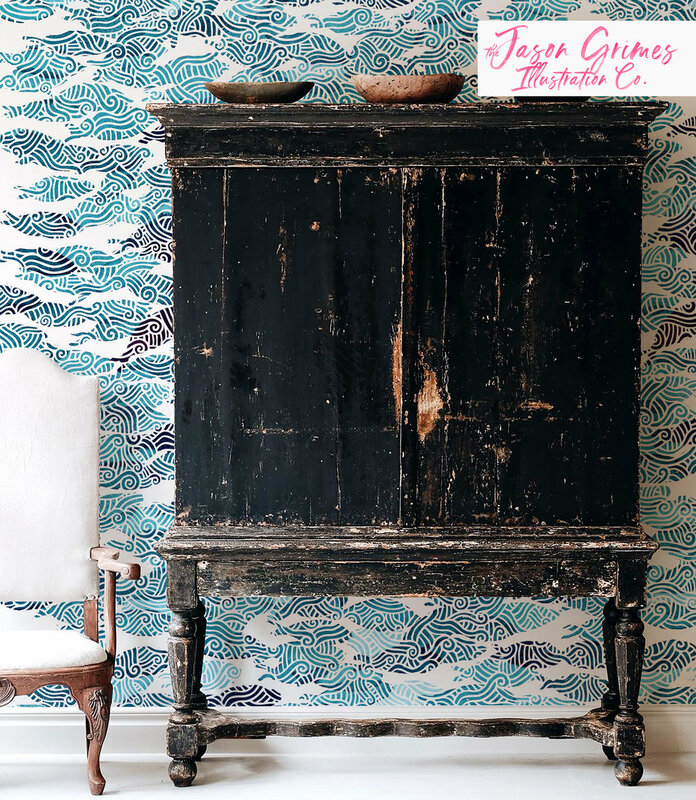 Cuttle Fish Watercolor Block Print available as wallpaper, fabric by the yard and wrapping paper through Spoonflower. Horseshoe Crab Watercolor Block Print available as wallpaper, fabric by the yard and wrapping paper through Spoonflower. 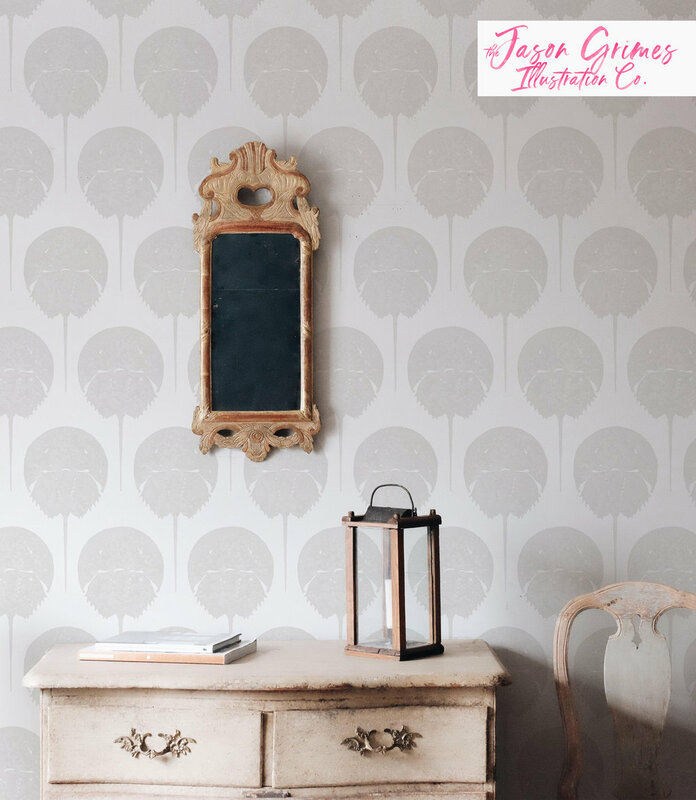 Palm Stripe available as wallpaper, fabric by the yard and wrapping paper through Spoonflower. 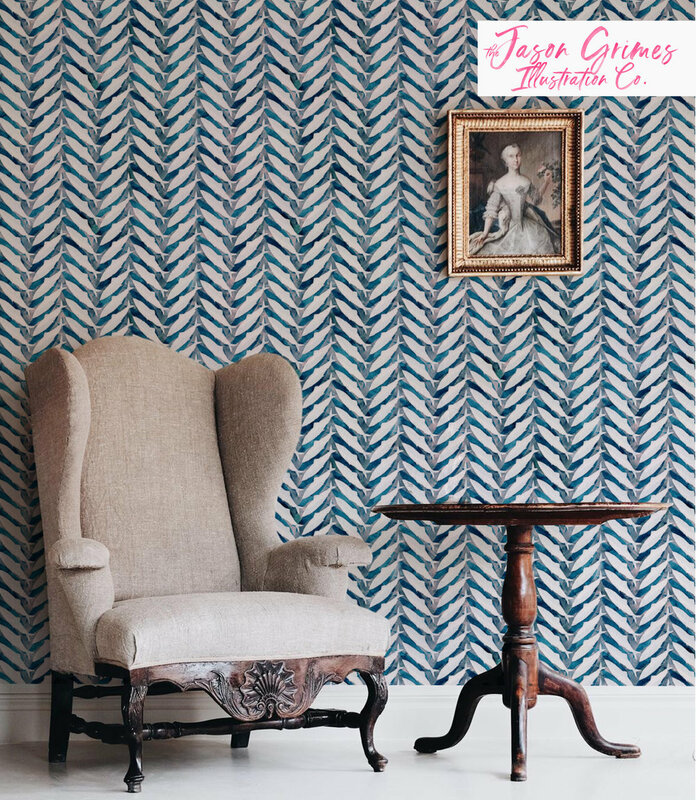 Herring Herringbone available as wallpaper, fabric by the yard and wrapping paper through Spoonflower. Sketches of Fish, I Wish available as wallpaper, fabric by the yard and wrapping paper through Spoonflower.